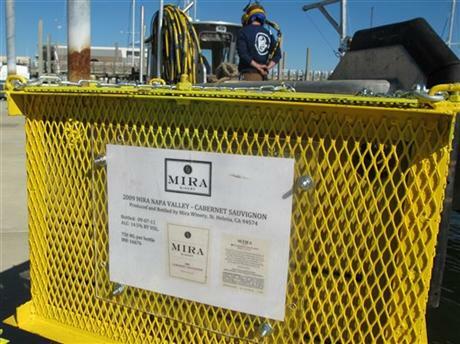 Napa Valley-based Mira Winery is aging 48 bottles of Cabernet Sauvignon in the Atlantic Ocean. The winery said bottles of wine recovered from shipwrecks have a remarkable and unique flavor. Thus, the winemaker believes aging the 2009 Cabernet in South Carolina’s Charleston Harbor will affect the red wine’s taste. The bottles of wine will be placed in specially designed, submergible cages and left on the sea floor for three months beginning Wednesday.